North Korean cellular operator Koryolink has 3 million subscriptions, according to a report from Reuters. The figure was provided by a Koryolink staffer to Reuters correspondent James Pearson, who was in Pyongyang last week to cover the 70th anniversary of the Workers’ Party of Korea. No more details were provided, which is run-of-the-mill for Koryolink. Orascom Telecom and Media Technology (OTMT), the Cairo-based owners of 75 percent of Koryolink, rarely offer any details about the performance of the operator and typically ignore requests to provide subscriber numbers. The last update was just over a year ago, when Koryolink claimed 2.4 million subscribers, so the latest figure represents a rise of around 600,000 users in about a year. The actual number of people with Koryolink phones is probably lower because some people have several lines to save money rather than do expensive top-ups on their numbers. Earlier this week, the Daily NK reported that smartphones are becoming an increasingly popular way to connect to the national intranet service for downloading of music or movies. The report said people who do so take pride in their access and play downloaded media in public as a way of showing off their status. 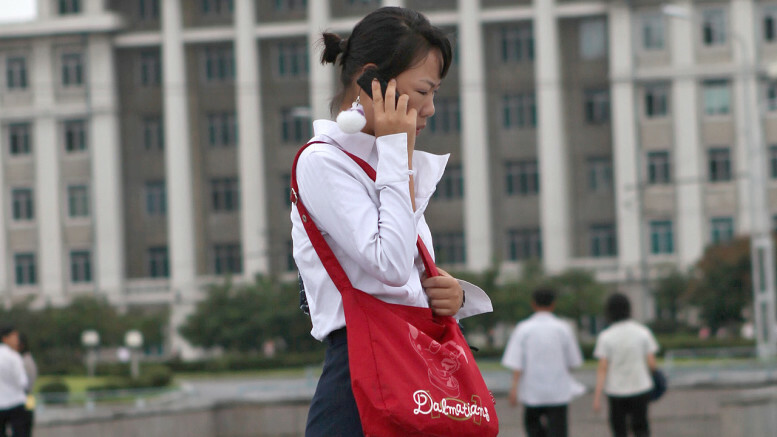 Smartphones are also becoming an important way for people to access and read the daily Rodong Sinmun, especially outside of Pyongyang where distribution problems can sometimes mean no newspapers for days, the report said. But for the extra subscribers Koryolink is managing to attract, the most interesting aspect of its business is the inability of OTMT to get any profits out of North Korea and back to Egypt. The issue recently became public when OTMT noted that it’s holds hundreds of millions of dollars at the official exchange rate in North Korea but cannot move it out of the country without government approval. The government appears unwilling to issue such approval because it cannot afford to see the funds leave the country. The North Korean government has responded by launching its own cellular operator, possibly in an attempt to reduce the market share or Koryolink or force a merger during which OTMT would probably ended up losing all or some of its cash.